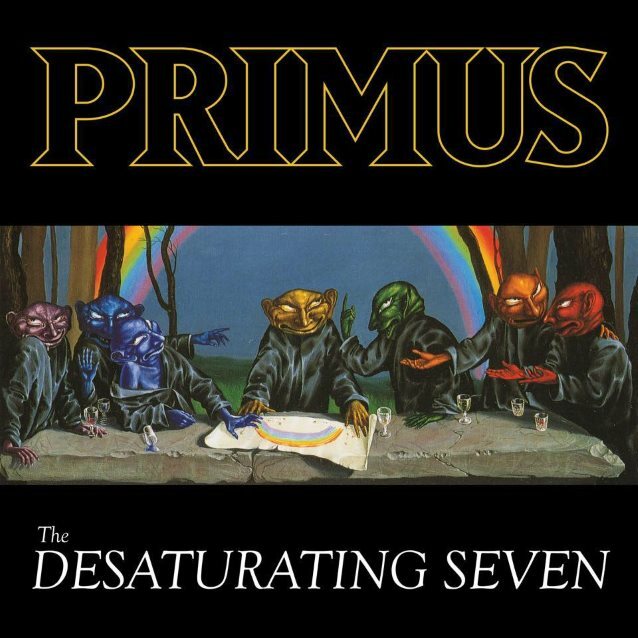 PRIMUS will release its ninth studio album, "The Desaturating Seven", on September 29 via ATO Records. This is the band's first studio collection of original material since 1995's "Tales From The Punchbowl" with the classic PRIMUS lineup of Les Claypool (vocals, bass), Larry LaLonde (guitar) and Tim Alexander (drums). "The Desaturating Seven" is inspired by a 1970s children's book Claypool often read to his kids when they were growing up. The book tells a story of seven goblins — one representing each color of the rainbow — who simultaneously pull all of the color out of the world. 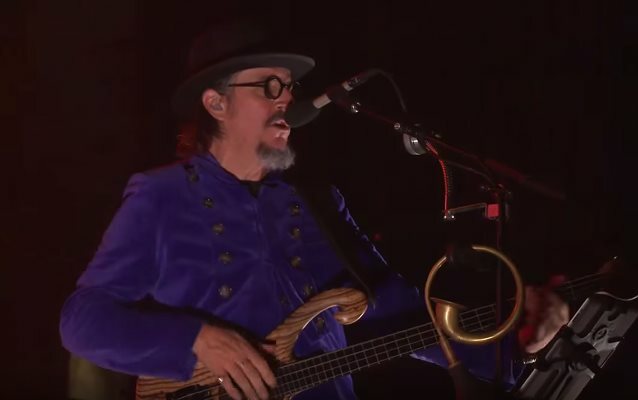 "Many years ago, when my children were little kidlets scurrying around the place wreaking havoc and whatnot till it was time for bed and book time, my wife turned them on to a book called 'The Rainbow Goblins' by Ul De Rico," Claypool explained. 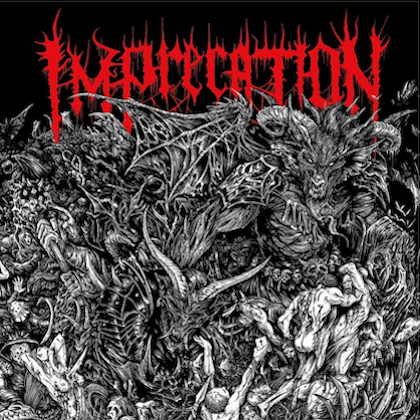 "The dark imagery and beauty of the art struck me immediately and I thought, 'This would make good fodder for a piece of music.' The use of color and darkness both in the paintings and the writing was compelling and now, near two decades later, the metaphor of greed, gluttony and deceit vs unity of the masses is eerily relevant. I brought the notion to the PRIMUS guys and they were all for it. Plus, I figured it's about time someone brought 'Goblin Rock' back to the fold." 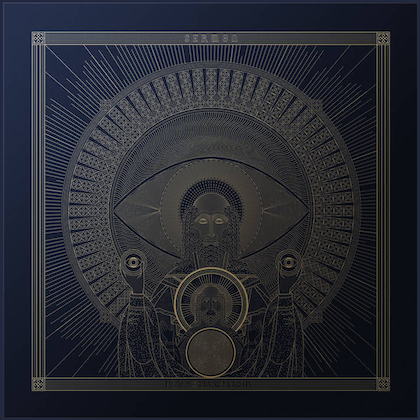 The song "The Scheme" can be streamed below. "The Desaturated Seven" will have two unique vinyl pressings — a limited-edition desaturated version drained of most of its color with a white vinyl and a version with full color sleeve and clear vinyl with rainbow splatter. A Grammy-nominated and multi-platinum-selling band, PRIMUS has toured with some of rock's biggest names (JANE'S ADDICTION, PUBLIC ENEMY, RUSH, U2, etc.) and headlined the third-ever Lollapalooza festival.